The law allows persons suspected of banditry and creation of crime rings to be tried in absentia. 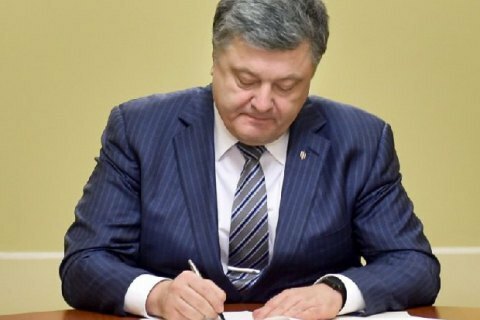 President Petro Poroshenko has approved changes to the Criminal Procedural Code on the trial in absentia, thus giving investigators more opportunities to try deposed President Viktor Yanukovych and his entourage in absentia. The respective bill (No 5610) is marked accordingly on the parliament website. This bill cancels a clause which temporarily, until 15 April 2017, allowed the trial in absentia and conviction of individuals not wanted by Interpol but hiding from justice for over six months or staying in temporarily occupied territories. The trial in absentia can be applied not to one but several suspects at once. It also allows persons suspected of banditry and creation of crime rings to be tried in absentia. Transparency International previously criticised the bill. On 14 March, the Main Military Prosecutor's Office sent to the Prosecutor-General's Office an indictment of Viktor Yanukovych for high treason.